Fabric selvage is the tightly woven edge that runs along each side of a piece of fabric's lengthwise grain, which is also called the fabric's warp. Selvage edges can be seen on the edges of quilting fabric that are at the top and bottom of a bolt of fabric. In Great Britain, the same term is often spelled selvedge. Selvage edges occur when crosswise grain threads, called the weft threads, turn back and forth as they are woven along the length of weft threads, which stay in place (secured at their ends) during the weaving process. Tiny loops are formed where the weft threads make each turn, and it's the little loops that keep the fabric's edges intact. Selvage edges vary in width. They are bound more tightly than the rest of the fabric — another quality that prevents fraying. In some areas of the cloth, selvages may look exactly like the rest of the fabric, but they are thicker and more tightly woven. Some selvage edges are wide and a totally different color than the fabric, like this example of a selvage edge. 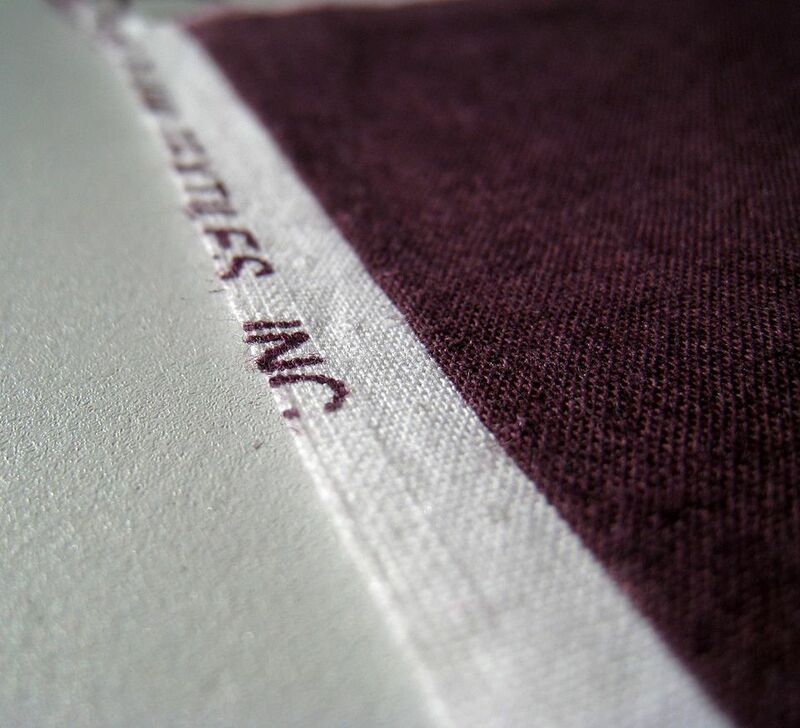 Selvages nearly always include little dots that show us the colors that are included in the fabric. Those little dots can help you match colors or locate colors that contrast or blend when choosing fabrics for quilts. Take a close look at the dots printed in a few fabric selvage edges. Selvage edges usually include the name of the manufacturer. The name of the designer and the design's name are often printed in the selvage, too. It's best to avoid using selvage edges in quilts because the extra thickness can create problems (little lumps and irregular areas) when patchwork is sewn together. If the appearance of selvage changes in some areas and does not resemble the fabric, the appearance of patchwork will change, too. Extra thickness can also make it more difficult to hand quilt some areas of the project. Remember that there are no rules in quilting. When short of fabric and are forced include a small portion of the selvage, try to keep it within a seam allowance, and use as little of the selvage as possible. When a project is complete, people may not even be able to see where the selvage was sewn into the quilt. Quick-pieced quilt patterns are often assembled, at least in part, with rotary cut strips that are cut from selvage to selvage across a fabric's crosswise grain. Patterns nearly always tell one to avoid using the selvages in the patchwork. For those planning to make lots of quilts, cutting accurate strips of fabric is a skill you should master. Quilters who love unique projects save their selvages, and use them to make entire quilts and other projects, like the tote bag in the photo, which was sewn by Jackie Adams Hatfield. Selvages are perfect for string piecing but can be used to create any project. Take a look at a few selvage edge quilts online to see some of the creative ways quilters have used these unique strips of fabrics.